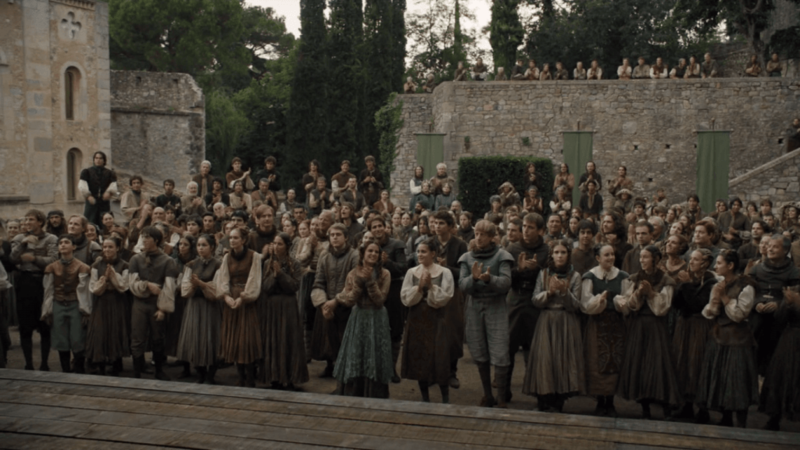 Home Culture Was Someone Creepily Following Arya In That Last ‘Game Of Thrones’ Episode? 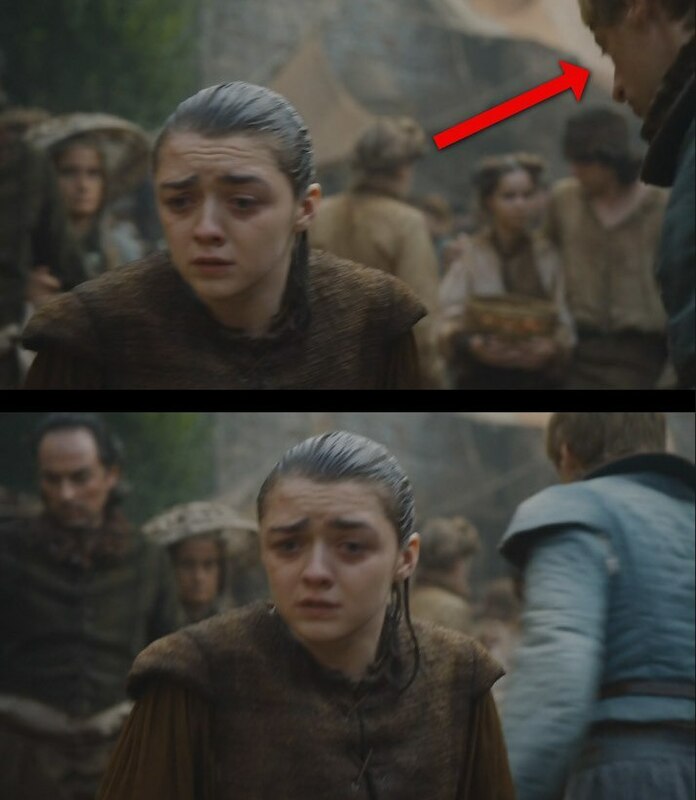 Was Someone Creepily Following Arya In That Last ‘Game Of Thrones’ Episode? In the days following the most recent Game of Thrones episode, our minds have all been racing in an attempt to predict what will come of all these epic plans that seem to be forming. But, some of us may have missed some rather intriguing details in our fervor to absorb the central action of the episode. In Sunday night’s installment, the incredibly smug-looking Waif stabbed Arya, who then proceeded to fling herself into the river below. Following the incident, Arya shuffled through the crowded streets of Braavos, soaking wet and bloody, clearly paranoid that the face-shifting Waif may have been following her. I’m going to go out on a limb and say that, no, the writers of the show are probably not going to let Arya bleed out and die. But what is she going to do?? Fans are theorizing that there was more to this grim scene that initially meets the eye. As one astute Redditor pointed out, a peculiarly-dressed young man brushed past Arya during her Soggy Walk (as I am calling it). The boy was wearing a very distinctive powder blue outfit, which stood in stark contrast to the sea of brown clothing in the crowded street. 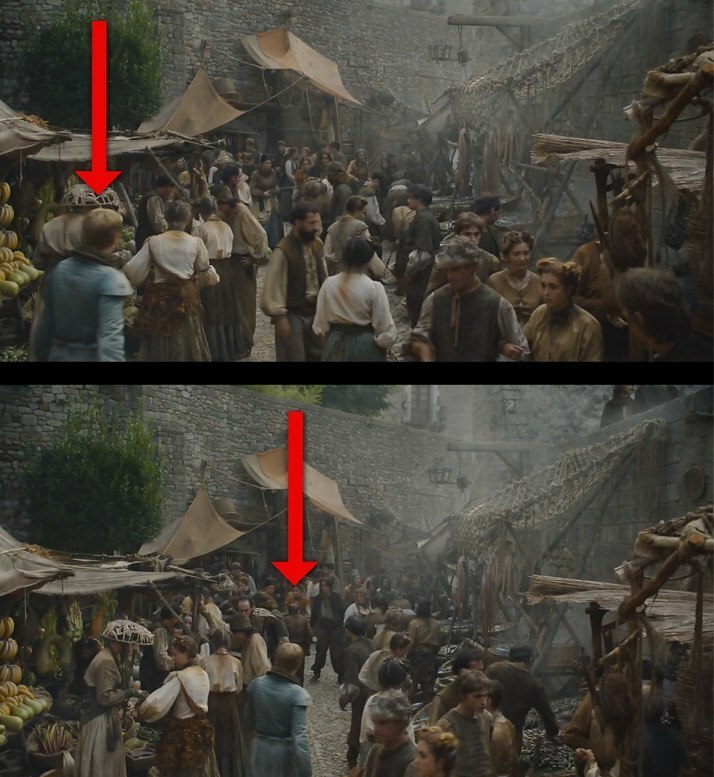 After seemingly passing the injured Arya, however, it appears that the boy turned around and began to follow her. A similarly-clad fellow (presumably the same one) was also spotted watching the play in the front row during a previous episode. 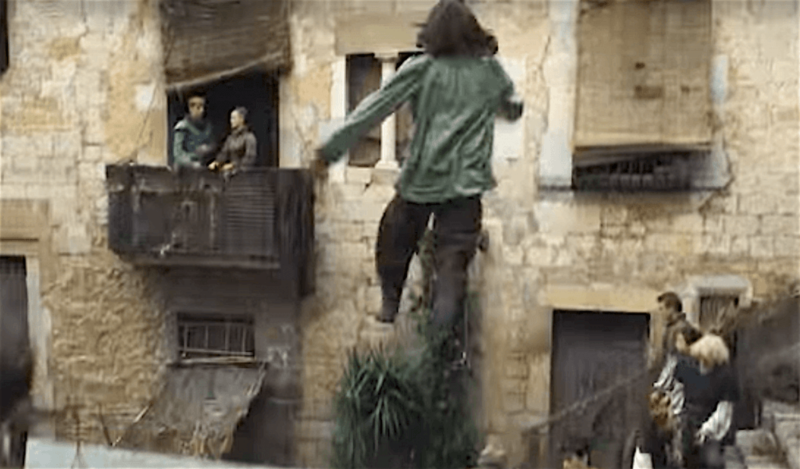 He is also supposedly visible in the teaser for the next episode, standing on a balcony. 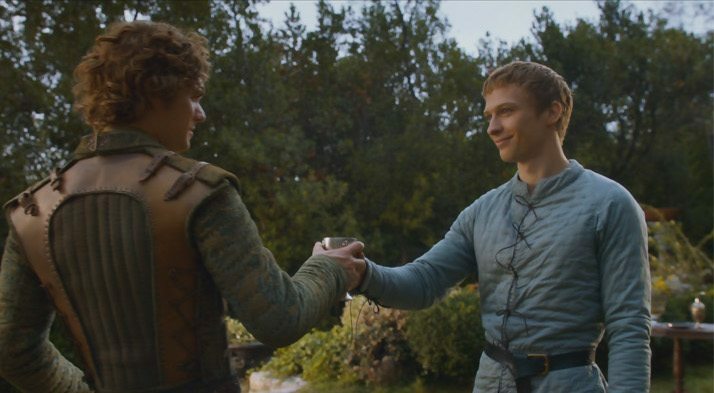 The Redditor theorizes that this azure-clad dude is a spy for Littlefinger, named Olyvar. After all, the affinity for blue clothing and the thatch-colored hair certainly match. But who knows? Maybe the costume designer just really loved this blue ensemble and wanted to get as much mileage out of it as possible. Or perhaps the guy in blue is the director’s nephew, and this is merely a case of nepotism in cinematography. Whatever the reason, the outfit is a good one, as it clearly has everyone talking. Snaps for your courageous fashion sense, Nameless Blue Dude. Previous articleCan You Match These Iconic Celebrities In Sunglasses To Their Names?